Steve, a Waycross native, is married to Jeannette Burton Hudson, and is the son of Charlotte Hudson and the Late Carroll Hudson. Carroll Hudson is a 2008 inductee in the Hall of Fame. They have one son, Dustin. Steve is a member of First Methodist Church. Steve grew up participating in the Ware County Recreation football, basketball, and baseball programs. He graduated from Waycross High School in 1972 and received a track scholarship to West Georgia College. He later transferred to Valdosta State College and received a BBA degree. Steve returned to Waycross after college and has been employed by CSX Transportation as a Senior Claims Representative since 1977. Since returning to Waycross, Steve has participated in many community and recreational activities. In high school, Steve was a two year letterman in basketball and earned four letters in both football and track and field. In track and field, Steve was a member of the winning 440 Relay Team in the AAU Junior Olympics, but it was in the discus and shot-put events that he excelled. His performances were instrumental in Waycross winning the region title his freshman year, the region and state titles his sophomore year, a regional title and a second place finish at the state meet as a junior, and region and state championships his senior year. He placed 1st in the discus and 2nd in the shot-put at the state meet and scored 18 of the teams 47 points that earned them a state title in 1972. 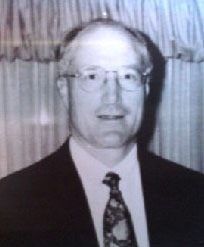 Steve held the Waycross record for the discus from 1970 until 1994. He holds the all time record for the shot-put. Steve’s football accolades include selection as the punter on the All-State AAA team and honorable mention at the quarterback position. Steve lettered two years in basketball and the team won the region championship his sophomore season. Hudson coached football, basketball, and baseball in the Ware County Recreational Leagues from 1984-1997. He served on the Board of Directors of the Waycross TD Club and the Ware County Athletic Boosters Club. Steve served three years as President of the Waycross Touchdown Club and was a Board Member of the Ware County Recreation Department. He served on the Mayor’s Study Committee on school merger and is presently serving as a Director of the Waycross-Ware County Sports Hall of Fame.